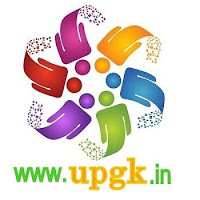 Uttar Pradesh (UP) GK Question in Hindi Sample Paper 3: Uttar Pradesh (UP) General Knowledge Sample Question Paper with Collection of 10 Quiz from Uttar Pradesh (UP) GK . Uttar Pradesh (UP) General Knowledge (GK) and General Studies (GS) Questions from various examinations of Uttar Pradesh (UP) Govt. and central Govt. Here is collection of Uttar Pradesh (UP) GK Quiz in PDF Format for free download on Best website for Uttar Pradesh (UP) GK in India. Candidates ca download Uttar Pradesh (UP) GK Sample paper in PDF Format for free from below website link. Q.1 When was Uttaranchal separated from Uttar Pradesh? Q.2 North America's tallest peak Mt. McKinley renamed as ......... ? Q.4 How many districts are there in Uttar Pradesh? Q.6 With which of the following country's collaboration will 'Tehri Dam Project' be completed in the State? Q.7 By which of the following names is the religious place Varanasi not known in Uttar Pradesh? Q.8 Who of the following prime ministers of India was not born in Uttar Pradesh? Q.9 Which of the following pairs is wrong? Q.10 In which city of the State is Pura Banaspati Birbal Sahani Institute situated?